Many times referred to as Wonder Roses, Fairy Roses are from a group of ground cover roses that some of the most popular roses available in the world today. This is because of their long flowering period and exceptional performance in the garden. Easy to grow and care for, they are free flowering beauties. Great planted singularly, in groups, or used in borders. Fairy roses are well suited to garden beds, borders and patio pots, and can even be used in hanging baskets! Once established they require minimal care, with no fancy pruning. These make such excellent little plants, growing just 2-3ft tall, but with a spread of around 4ft, they're great for adding continuous summer colour to a flower bed, border or patio planter with masses of lovely flowers. Flowers are individually small and but form with double petals in large clusters giving a big impact. 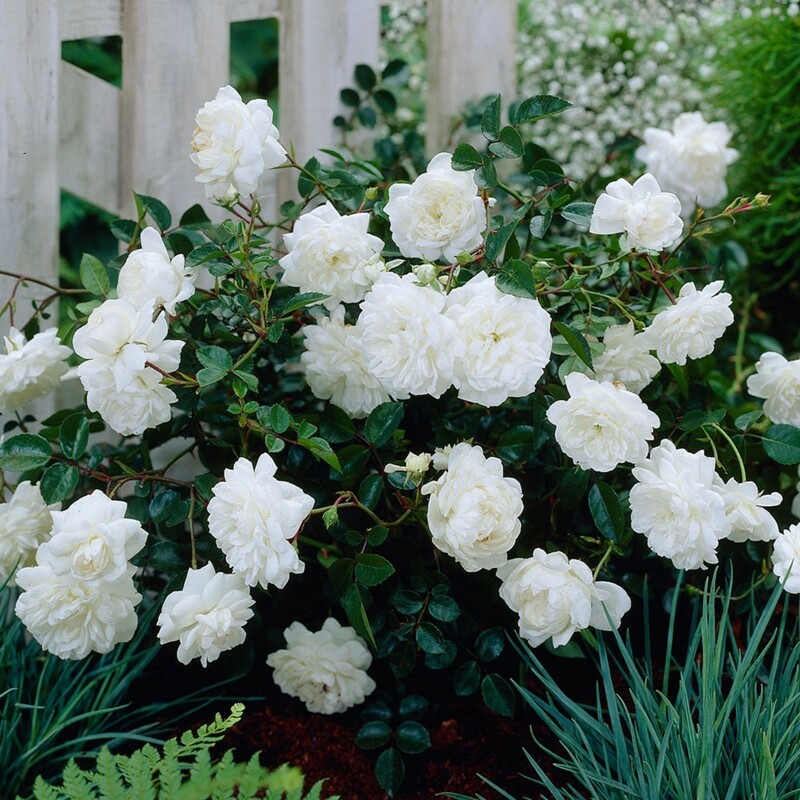 Fairy roses are one of those good old fashioned roses that's been popular for years because it can tolerate an awful lot, including bad soil, bad weather and a bit of shade. If you've a troublesome spot in the garden these are well worth a try. Undemanding and flowering perpetually for a long time producing clusters of blooms well into autumn. Grown in hanging baskets or in planters, they bloom intensely producing a cascade of romantic flowers. They are ideal for brightening up the patio, decking or windowsill. Also ideal as ground cover with their long supple shoots that cover the ground with a carpet of flowers. Fully hardy and covered by our five year guarantee.